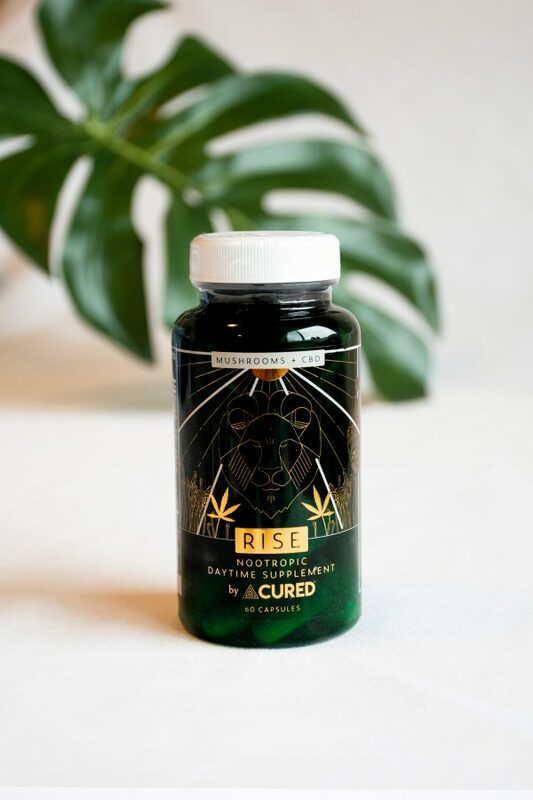 Rise to the occasion with Cured Rise — a CBD-infused nootropic supplement that has been carefully crafted with all-natural ingredients that work synergistically to sustain focus and wakefulness, while combatting the stress of daily life. This daytime formula includes uplifting ingredients such as Lion’s Mane extract, Cordyceps Extract, Ginseng and B Vitamins. 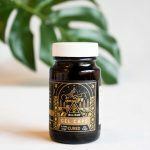 Full Ingredient List: Lion’s Mane Extract (Hericium erinaceous), Cordyceps Extract (Cordyceps militaris), Cured Flow Blend (Eleuthero, Rhodiola Extract, American Ginseng Extract, Gotu Kola, Huperzine A), Vitamin B Complex, and Broad Spectrum CBD Extract. I used this product on days when I had a lot of school work to focus on, for someone who has been medicated for ADD in the past- this helped my concentration! Thank you! Usually, I have zero energy in the morning. I actually feel more awake when I take this. Not like caffeine! I feel more focused and more positive! I have been using this product every day since working the LA Fit Expo and have been HOOKED! I love that this product contains mushroom to help me stay focused and in the zone! I honestly find my caffeine intake decreasing because this is giving me the natural energy I need in the morning and throughout the day! I also work night shift in the NICU and I enjoy taking 2 capsules before work to help me stay awake and FOCUSED! Love this product and already need bottle #2! Love the products by cured so much that I had this on preorder! When I got it I was super excited to try it bc I had been using four sigmatic products as a way to get my mushrooms in! Adding it with a little bit of cbd seemed like a no brained! Haven’t skipped a day of taking it since I got it in the mail, mental clarity, and focus! My mom has cancer , and her radiation medication lowers her energy really bad. I originally got these as samples and her energy levels went from 0 to 100. I am so grateful for this product that I recently purchased an entire bottle for her . I work nights and have started taking Rise to help me in the mornings. It gives me energy to keep up with my kids and get things done! I received a sample of Rise with my last purchase. I take one pill with my vitamins, and I just feel a sense of calmness. I like that the serving size is 1-3 a day and that the suggested usage is for when you need to feel that sense of calmness. I will definitely buy a bottle with my next purchase. Well done Cured! I love this product! This is my first experience with any Cured Nutrition products and I will definitely be checking more out. Since taking this, I feel so much more focused and sharp in the mornings and throughout my entire day. I haven’t needed to drink any coffee either. I highly recommend for anyone looking to cut out caffeine from their diet, and just looking for something to keep you mesntally sharp and clear! We got a few samples and my husband enjoyed them. Helped him stay focus. At first I wasn’t completely sold on this product. I have been taking the oils and had an immediate postive effect with them so when I begun taking these it took a few days for me to feel the benefits. 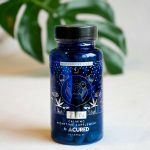 If you are experienced taking CBD products, in my opinion, I would recommend taking at least 2 to 3. As directions say 1 fo 3. I take CBD more at nightime so I looked forward to trying the Zen. As for the Rise it overall made me feel calm and this product offers other ingredients that made me feel good. I love this product! My job is very mental and needs lots of focus throughout it. I take it in the morning and it keeps me sharp and gives me the energy I need throughout my day!! Love this product!! I’ve only been taking it for a few days and I’ve definitely noticed I’m more focused at work and have a ton of energy. I don’t get that crash mid afternoon when I take this! I love this product!! I’ve only been taking it for a few days and I’ve definitely noticed I’m more focused at work and have a ton of energy. I don’t get that crash mid afternoon when I take this! Loving this product so far. I highly recommend this product and will continue to use! I absolutely love this product! I love the addition of the adaptogens which help me to feel awake and ready for the day. It gives me energy without the side effects that can happen with caffeine. I can’t wait to purchase again! I love this product! I purchased this due to having a really hard time getting up in the morning. Not only has it worked for what I purchased it for, but I also found it works well to take it at night when working 3rd shift. One of these keeps me awake much better than my old way of drinking over 3 coffees and a bunch of snacks to try to stay awake. I have noticed a difference with my focus & calmness since taking Rise. At first I was not so sure I noticed anything, but not taking it for a couple days and then taking it again, I definitely saw a difference. I highly recommend. Very pleased with the results from Rise. More focused and more energy throughout the day. Highly recommended!! Amazing product! I have two little ones, so this, along with the raw CBD oil, helps balance me out and give me the energy boost/focus I need to wake up and power through the day. I would absolutely recommend this product! Love this product and can’t wait to order more!